The Succession Act, 1965 protects surviving spouses of deceased persons by affording considerable protection as the Act restricts the right of the testator to leave his/her property to whoever he/she wishes. The estate to which the surviving spouse is entitled to a share in is ‘net estate’ which is ‘all estate…not ceasing on his death’. So this excludes trust property, joint property passing by survivorship, property in which the deceased had a limited interest, and validly nominated property (credit union accounts, post office saving certificates, nominated pension schemes). Costs, liabilities and expenses also need to be taken into account to leave a net estate figure. It is this figure that the spouse is entitled to either one half of (no children) or one third of (children). This entitlement is called the ‘legal right share’ which only applies in a testate situation, that is where there is a will. In an intestate situation, that is, there is no will, the surviving spouse is entitled to two thirds of the estate if the deceased has children; if the deceased has no children, the surviving spouse is entitled to the entire estate. Children validly adopted by him. The right of the surviving spouse to the legal right share ranks after the rights of creditors of the deceased but before all other beneficiaries. Legal Right Share Versus Bequest? If this situation occurs and the testator dies fully testate, then the surviving spouse will have a choice to make as set out in section 115 of the Act which provides for the surviving spouse to elect to between the legal right share entitlement and the rights under the will. If the surviving spouse does not elect to take either the bequest or the legal right share, he/she will be deemed to have taken the bequest and will lose the legal right share. Where a testator dies partly testate and partly intestate the calculation is more complex and the following will need to be calculated-the value of the net estate, the value of all bequests under the will, and the value of the intestate part of the estate. Section 56 provides for the right of surviving spouse to require dwelling and household chattels to be appropriated. Spouse no longer a spouse? There are 4 ways by which a spouse ceases to be a spouse for Succession Act, 1965 purposes. 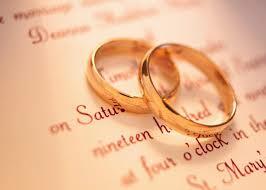 Section 113 provides for renunciation before or after marriage by way of a written contract. The Judicial Separation and Family Law Reform Act, 1989 and the Family Law Act, 1995 can provide for property adjustment orders and the extinguishment of succession rights. The Family Law (Divorce) Act, 1996 and the subsequent marriage of a testator will have important implications here. For example, a will is revoked by the subsequent marriage of a testator. Section 120 of the Succession Act, 1965 provides for the unworthiness of the surviving spouse to succeed. An example of this situation is the ‘Catherine Nevin/Jack Whites Pub’ case: In Re Nevin, High Court, 1997. See also children’s rights under the Succession Act, 1965.